Project Description Public Works, Ports and Inland Water Transport Dept. (PWD & IWT) Mysore division, Govt. of Karnataka desires to improve the condition of selected Major District Roads (MDR) and State Highway (SH) of T.Narsipur, Srirangapatna & Malavalli taluks of Mysore & Mandya District . E I Technologies Pvt. Ltd. (EIT) was appointed as Design Consultants to prepare a Detailed Project Report (DPR) for the project roads totaling 165 Km. Project Site T.Narsipur, Srirangapatna & Malavalli Taluks of Mysore & Mandya District. 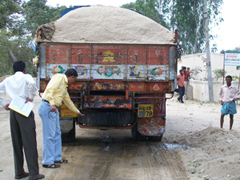 Client Public Work Ports & Inland Water Transport Department, India. Project Description Public Works, Ports and Inland Water Transport Dept. (PWD & IWT) Shimoga division, Govt. of Karnataka has decided to upgrade the existing road by provision concrete pavement with all necessary infrastructure including providing utility ducts, road signage's, underpasses at suitable locations and road furniture's etc. This project involves construction of cement concrete pavement for a six lane carriageway configuration. E I Technologies Pvt. Ltd. (EIT) has been appointed as Project Management Consultants (PMC) including providing design supports at crucial junctures. Project Name Consultancy Services for Inventory Survey of Road Proposed to be taken up under PPP. Project Description Karnataka Road Development Corporation Limited (KRDCL), Bangalore desired to take up inventory survey of State Highways, coming under their jurisdiction in order to propose them on Public Private Partnership (PPP) model. E I Technologies Pvt. Ltd. (EIT) was assigned with the above task which comprised of conducting reconnaissance survey and submitting a report with the technical schedules as per the guidance issued. Project Name Feasibility study for Establishing User Fee Collection Booths on selected roads in Mysore, Chamarajanagar and Mandya Districts. 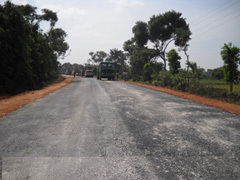 Project Description Public Works, Ports and Inland Water Transport Department (PWP & IWT), Government of Karnataka (GOK), is responsible for development, improvements and maintenance of State Highways (SH) and Major District Roads (MDR) in the State of Karnataka. The department has proposed setting up collection of User Fee from selected commercial vehicles through User Fee Plazas (UFP) located at specific locations. It is envisaged that the funds collected through the User Fee shall be used to maintain the roads in proper condition periodically. E I Technologies Pvt. 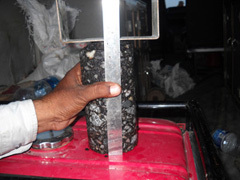 Ltd. (EIT) having their registered office in Bangalore have been entrusted the work of carrying out the Feasibility Study for establishing User Fee collection booths on selected roads. Project Site Mysore, Chamarajanagar and Mandya Districts. 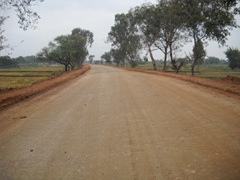 Project Description Roads are indicators of development and progress of nation as a whole. A good road network helps develop the economy of the region and provide benefit to road users. Public Works, Ports and Inland Water Transport Department (PWP & IWT), Government of Karnataka (GOK), is responsible for development, improvements and maintenance of State Highways (SH) and Major District Roads (MDR) in the State of Karnataka. E I Technologies Pvt. Ltd. (EIT) Bangalore have been entrusted the work of Project Management Consultancy. Project Description BDA has taken up substantial projects involving up-gradation of roads, footpaths, buildings and cross drainage works. 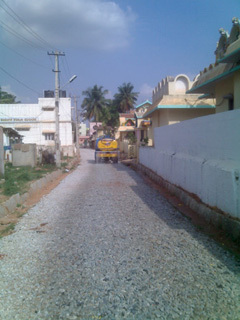 The present project involves such works in the CMC areas of BBMP. It has engaged number of contractors for execution of these projects through competitive bidding. In order to ensure timely completion of these projects to the required quality standards, BDA is availing services of leading Project Management Consultants (PMC) having requisite technical know-how, infrastructure and resources including a laboratory with (NABL) accreditation. In this connection, BDA had appointed M/s. E I Technologies Pvt. Ltd (EIT), having its registered office in Bangalore, as one of the PMC consultants. 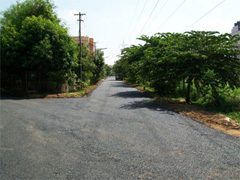 Project Description Karnataka Road Development Corporation Limited (KRDCL) Bangalore, Govt. of Karnataka desires to widen / improve the existing intermediate / two lane carriageway to four lane divided carriageway configuration there by improving the connectivity to major tourist locations, like KRS dam, Ranganatittu Bird Sanctuary, Balmuri falls etc., in Mandya and Mysore districts. E I Technologies Pvt. Ltd. (EIT) is appointed as Consultants to prepare Feasibility Study, Detailed Project Report and viability study for taking up on BOT/BOOT Basis. Project Description Public Works, Ports and Inland Water Transport Department represented by PWP & IWT Division, Mangalore, as per the request of temple authorities and the local leaders has embarked on an ambitious Integrated Development Plan/Master Plan to enhance the facilities including easy accessibility to be provided to lakhs of pilgrims visiting the holy shrine of Kukke Subramanya in the town of Subramanya, Sullia Taluk, Dakshina Kannada District E I Technologies Pvt. Ltd. (EIT) is appointed as Consultants to prepare Detailed Project Report including the Cost Estimates for the Project roads. Project Description Public Works, Ports and Inland Water Transport Department represented by PWP & IWT Division Bellary, had proposed setting up collection of User Fee from selected commercial vehicles through User Fee Collection Booths (UFCB) located at strategic points. It was envisaged that the funds collected through the User Fee shall be used for Improvements and maintaining the roads in proper condition periodically. E I Technologies Pvt. Ltd. (EIT) having their registered office in Bangalore have been entrusted the work of carrying out the Feasibility Study for establishing User Fee collection booths on selected roads in Bellary District.